Tracy Jordan Roberts has been practicing Trusts and Estates Law since 1997. She is certified by the State Bar of California Board of Legal Specialization as a legal specialist in Estate Planning, Trust and Probate Law. 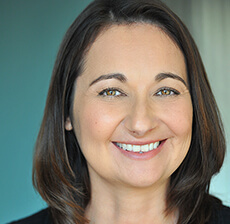 Tracy earned her Juris Doctor from the UCLA School of Law and holds a Bachelors of Art from the University of Arizona. In her practice, Tracy develops and implements comprehensive estate plans for individuals and families, ranging from basic wills and revocable trusts to complex wealth succession planning as well as charitable planning. Her multifaceted practice also includes providing guidance to individual and corporate fiduciaries in the administration of probate and trust estates, including post-death administration, estate tax returns, and fiduciary duties and obligations. She has also represented fiduciaries and beneficiaries in various probate and trust disputes such as will and trust contests, accounting objections, breach of fiduciary duties and removal of trustees. Tracy was born and raised in Southeast Arizona and moved to California in 1990. Tracy has been married to her husband, Brian, since 1991 and has many “furry four- legged children” that she has rescued. Tracy is the President of the Board of Directors for the Orange County Society for the Prevention of Cruelty to Animals and is a member of the Huntington Beach Rotary Club. When Tracy is not working or volunteering in the community, she enjoys spending time with her 6-year- old niece or watching a good movie. When my mother passed away, I was overwhelmed and at a loss as to what to do. My mother had told me she had a trust and will and that I was named as the executor, however, I really did not understand all that meant.